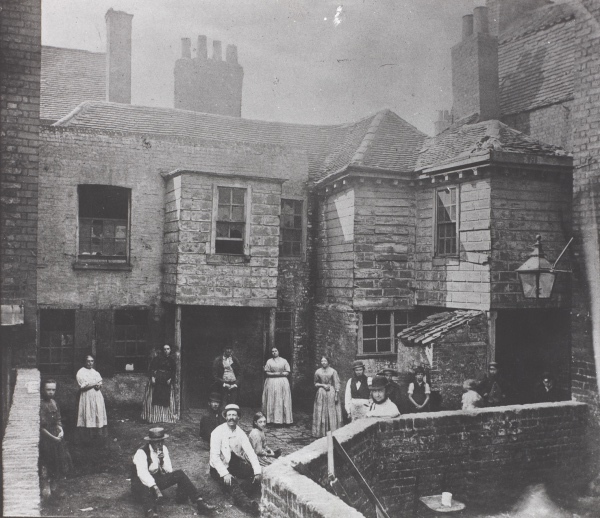 Above – Residents pose for the camera in Market Court, Kensington in 1868. 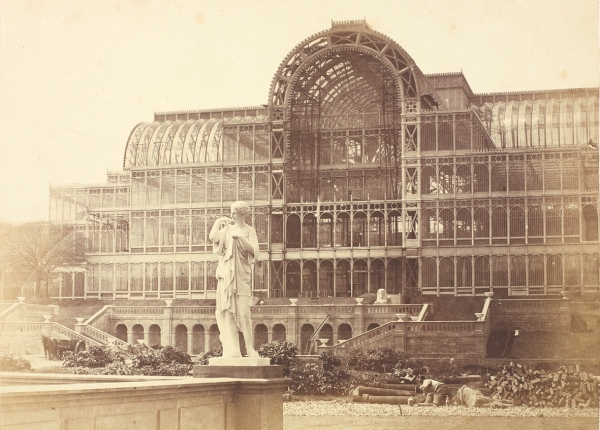 Above – Following the success of the Great Exhibition in Hyde Park in 1851, the Crystal Palace was relocated to Sydenham Hill. This photograph by Philip Henry Delamotte taken between 1852 and 1854 shows the South Transept during construction. 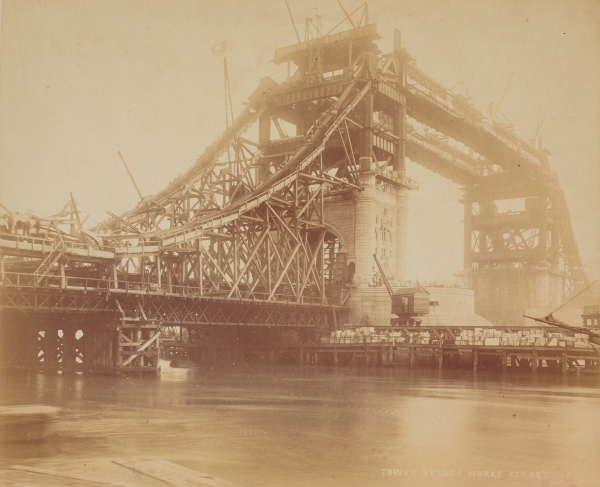 Above – Work progresses on the masonry and suspension chains during the construction of Tower Bridge in 1892. 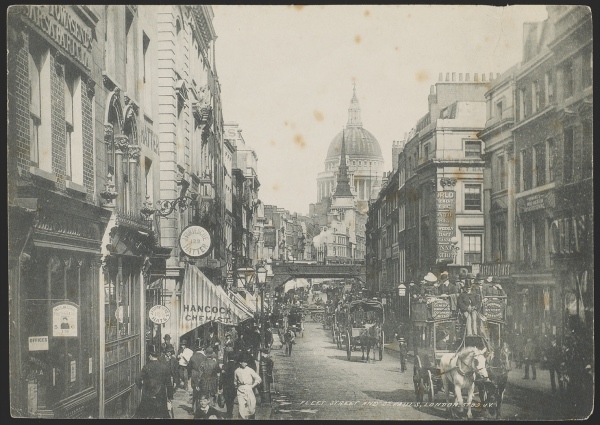 View of Iron Wharf and Bull Wharf, with St Paul’s Cathedral in the background. 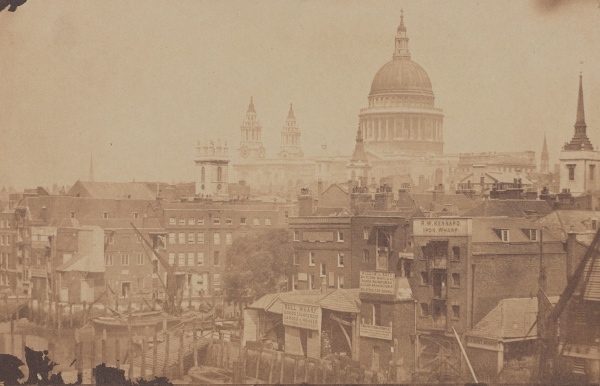 The photograph was taken from Southwark Bridge. Anonymous photographer, c. 1855.